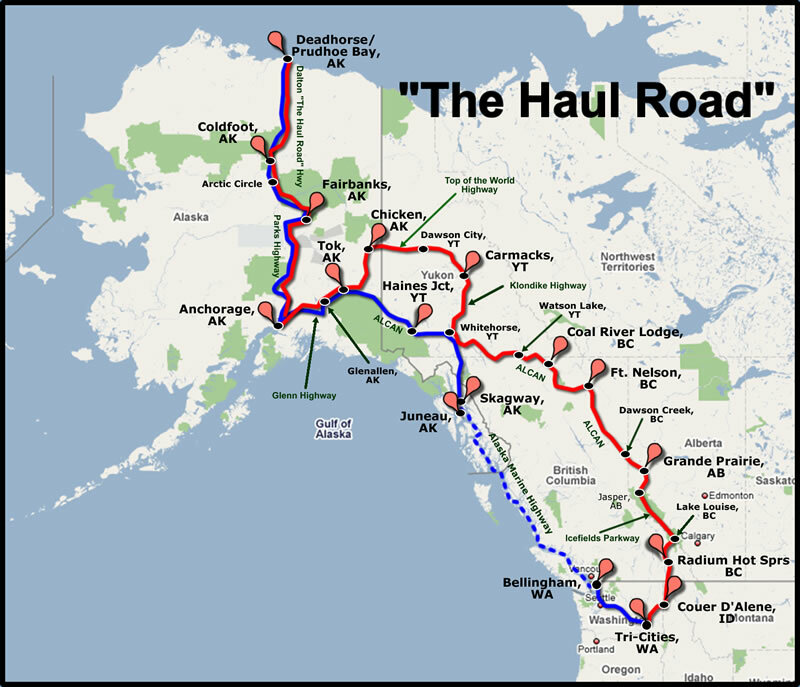 A 5,424 mile journey to and up the Dalton Highway required only 3,710 miles on the bikes due to the ferry ride from Bellingham, WA to Skagway, AK. 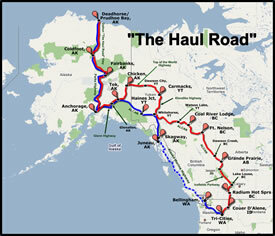 The ride spanned 24 days, took us through three states (WA, ID, & AK), two provinces (BC & AB), and one territory (Yukon). The ride up Dalton Highway to Prudhoe Bay required me to rent a dual sport V-Strom in Anchorage for the ride to Prudhoe Bay. Norm rides an ’06 BMW Adventure on which he made the entire ride. This completed number 50 of the 50 US states for me.